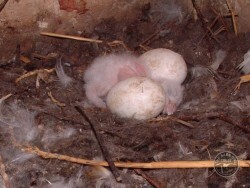 Barn Owls usually lay between 4 and 6 rather small, white eggs. 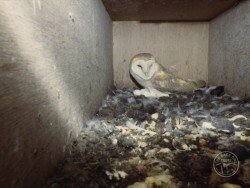 The main nesting season is March to August. 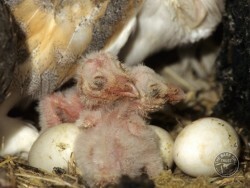 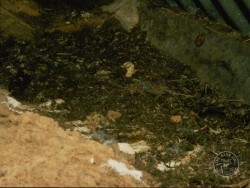 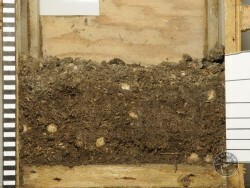 The ‘nest’ is often a layer of old owl pellets. 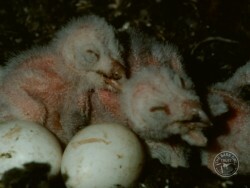 Traditional nest sites are often used for many generations. 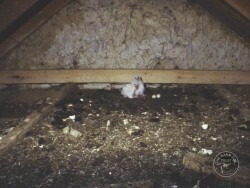 Nesting places are usually high up and hidden. 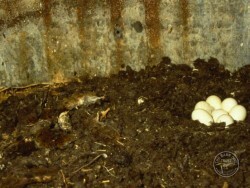 Incubation begins as soon as the first egg is laid, lasting for 31-32 days. 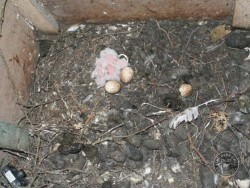 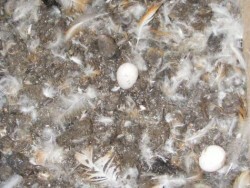 Eggs hatch every 2-3 days, usually in the order they were laid.